Please feel free to call us at +17865040861 or fill out our contact form to the right of this page and let us get you started on buying the place you’ve been looking for. With a rapid growing population, location to some of the finest restaurants, and amazing skyline, Edgewater has become the place to be in Miami. It can be overwhelming when looking to buy, but we can help sort through all of what you’re seeing on other sites and help you find your home here. The secure garage make owning a vehicle in the city hassle-free. Walk to the water and catch the boats coming in, or enjoy dinner at one of the city’s world renowned restaurants, Edgewater is everything and the location is second to none. The once quiet and serene Edgewater Miami of the past is now a chic and new city within the city filled with the most incredible Edgewater Miami luxury condos and high rise buildings. Outside its popularity for a vacation spot, a large number of people call Edgewater home. 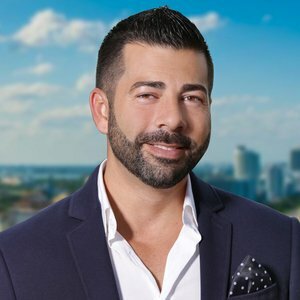 We've helped thousands of residents discover the perfect Edgewater apartments in Miami by showcasing the best apartments for rent and providing the most detailed information on each unit, up to date, every single day. 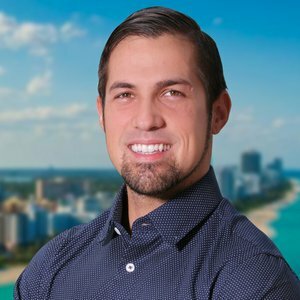 You have the opportunity here to look at a comprehensive information site that can focus on all your criteria that shows the best condos for sale in Edgewater Miami. The master suites are provided with walk-in closets and are up to code with hurricane impact resistant windows and doors. You can ask the local community about this property to get information and advice from actual property owners and they’ll say how much they love their surroundings. Edgewater is a 25 block area that is always busy and has enough to do to fill out your days. New businesses and families are moving to this vibrant place to live. Paramount Bay condos in Miami Fl is a luxurious oceanfront high rise located in Downtown Miami. It was designed by Kravitz Design Inc with 47 floors offering beautiful views of Biscayne Bay, the Atlantic Ocean and the Miami Beach skyline. Paramount Bay is within walking distance to the Adrienne Arsht Center for the Performing Arts, and a mere half block away from Margaret Pace Park, a dog friendly waterfront park which features family friendly days with volleyball, tennis, and basketball courts. Some of the great amenities included with Paramount Bay Condominium are a 3 story grand lobby with 24 hour security and round the clock concierge. Flow through floor plans with vaulted ceilings, commercial appliances, membership to the exclusive Paramount Style Club, a private movie theater, retail and dining, state of the art fitness center, sauna and steam room, billiard room, catering services, room service, professional building management, and a heated infinity swimming pool. Each residential condo unit is also finished with the best European cabinetry design with exotic woods.